Elyssa's career is in the clean energy finance, incentive, and legislation sector. She's currently the Director of Policy and Market Development for PACENation, a clean energy financing nonprofit, and was a contractor for NYSERDA for nearly 10 years. Green roofs are her passion, and she is excited to be working closely with the green roof community as these two industries are aligning now more than ever. Dr. Pitale is responsible for sustainable business development in the principal transactions and commercial real estate markets for Counterpointe Sustainable Real Estate, LLC, a green energy finance company. Counterpointe is partnered with Hannon Armstrong Sustainable Infrastructure (NYSE:HASI) to provide Property Assessed Clean Energy (PACE) financing to the energy efficiency and renewable energy markets. Eric Dalski is founder and partner at Highview Creations and is responsible for the day-to-day operations of the company. With ten years of experience, he has installed dozens of green roofs, vertical gardens, and stormwater capture systems throughout New York City. Eric received his B.S. in Environmental and Natural Resource Economics from Washington College, holds an M.B.A. from Fordham University, and a certificate from the EICES program at Columbia University. He is an adjunct professor at Pratt Institute for the Green Infrastructure Certificate Program, as well as co-chair of the S.W.I.M. coalition’s Green Roof Working Group. Dr. Karimi has more than 25 years of experience in environmental management and is currently the Deputy Director of the District Department of Energy and the Environment. In this capacity, he oversees a number of programs: Stormwater Management Division, the Fisheries and Wildlife Division, the Watershed Protection Division, and the Water Quality Division. The programs he manages address very wide-ranging environmental issues, such as: administering the MS4 stormwater Permit; development and implementation of TMDLs; regulation and management of wetlands and groundwater; construction inspection and enforcement (sediment & erosion control); stream as well as Anacostia River restoration; pollution prevention; management of an extensive monitoring network; Chesapeake Bay restoration and the Anacostia River Partnership. He has worked on development of regulatory processes on stormwater utility, and pollution control. Mr. Lowitt, FAICP is Director of the Devens Enterprise Commission charged with sustainability redeveloping the former Fort Devens. He is also a member of the GIF and GRHC Boards. He serves as Director/Land Use Administrator for the Devens Enterprise Commission, the agency charged with permitting the redevelopment of the former Fort Devens army base in Massachusetts. At Devens, Mr. Lowitt focuses on the sustainable redevelopment of this 4400-acre former army base. In this capacity he has developed the EcoStar environmental branding and achievement program to promote eco-industrial networking and green building. Prior to coming to Devens, Mr. Lowitt served as Director of Planning and Economic Development for the Town of Londonderry, New Hampshire (1993-1999) where he developed the Londonderry Ecological Industrial Park and the award winning Sustainable Londonderry Program. Jeff Joslin is Director of Current Planning for the City and County of San Francisco. In that role, Jeff has advanced numerous urban design and sustainability initiatives; including a Better Roofs Ordinance, which resulted in San Francisco being the first of any major city to require solar and/or green roofs to be incorporated into new development. Prior to his San Francisco appointment in 2012, he’d been an architect, urban designer, planner and developer. His life's work has been consistently driven by a desire to contribute to the advancing of the design, preservation and sustainability of the built and the natural environment. For 15 years he managed Portland ’s urban design and preservation teams. During that time, he contributed to a range of planning efforts, including the establishment of numerous green and preservation policies, programs and regulatory frameworks. 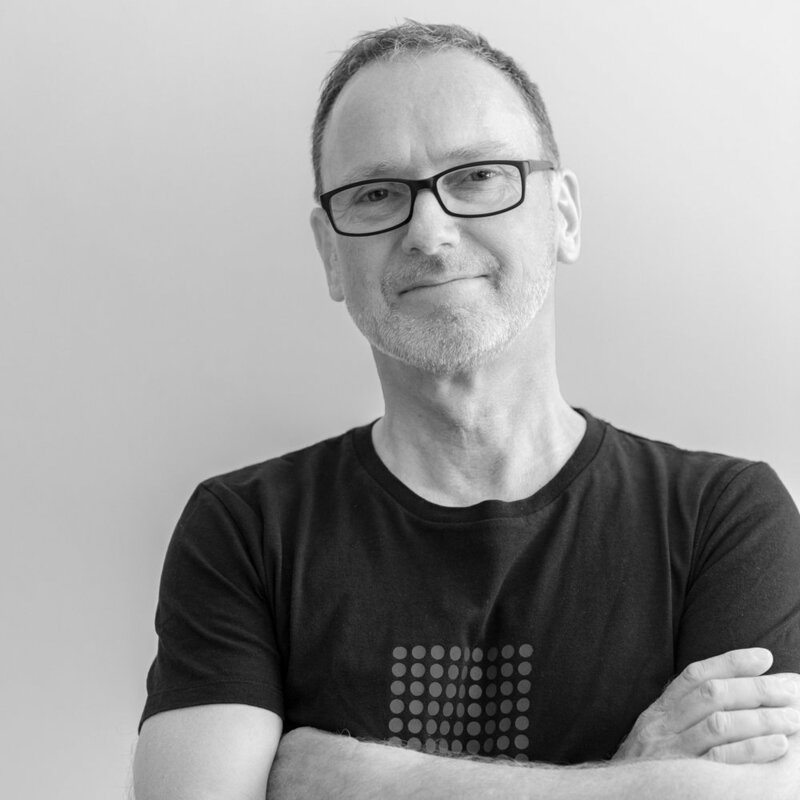 Previously, Jeff was a practicing architect, leading sustainability expert, researcher, consultant, activist, and educator. 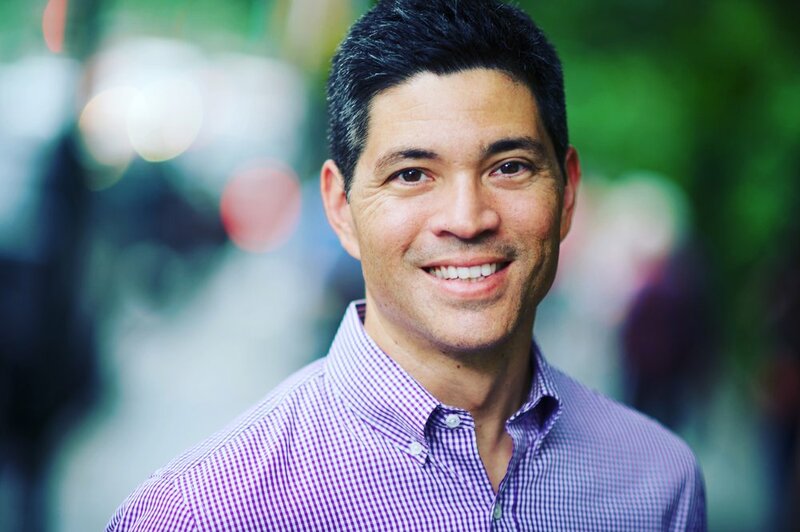 Jeff holds a Bachelor of Arts in Urban Sustainability Studies from Brown University, a Masters of Architecture from Oregon University, and a Masters of Science in Architecture and Urban Design from Columbia University. David W. Woods, has over twenty-five years of planning leadership experience as a public servant, non-profit organization leader, and consultant in private practice in Connecticut, New York, and New Jersey, and other parts of the country. His academic background includes advanced degrees in urban planning, urban sociology, and public administration. For the last five years, David has directed the long-range planning division and serves as the Deputy Director of Planning for the City of Stamford. He was recruited to manage the City’s Master Plan Update that was adopted by the Planning Board in December 2014 after 18-months of public outreach and involvement of a broad spectrum affected stakeholders throughout the City. The Master Plan provided the planning framework for developing and leading two subsequent planning initiatives in which actively included citizens of low-income and underserved communities in planning for their future: the West Side Neighborhood, and the Glenbrook/Springdale TOD Neighborhood Planning Study (East Side). Currently, David is serving as the Project Manager for the South End Neighborhood Study, which includes the potential of TOD development surrounding the Stamford Transportation Center. Colleen Burgess has over 20 years of experience in mathematical modelling of population dynamics, epidemiology, ecology and policy for US Government, industry, and global health organizations. Her expertise focuses on the interactions within and between populations and their environment to evaluate impact of environmental changes on population and ecosystem health. Jeremy Stand has 20 years experience in planning, development, and construction spanning the private and non-profit sectors, working with City, State, and Federal Agencies. He has served on the boards of the Community-Based Planning Task Force and Bronx Land Trust; has spoken on educational and professional panels on topics including planning, community and housing development, and sustainable design. Over the past 30 years: partner at MAP Architects, design faculty at CCNY Architecture, and the board-chair of a community development corporation. Projects include the design and development of the Melrose Commons Urban Renewal Plan in the Bronx. Citations for excellence include the NYC Municipal Arts Society; the NYC Dept. of City Planning, the NYC Landmarks Preservation Commission; Architects, Designers and Planners for Social Responsibility. Andrew Kilduff has traveled nationally co-managing a farm-to-table dining event company and studying farms and communities. He is the principal and co-founder of TK.designlab - a design and planning firm exploring innovative and contemporary designs of food systems, urban agriculture, and the communities that support them. Tim Tensen has experience with regenerative agricultural systems, ecological landscape design and management, strategic planning, cartography, landscape visualization, and project management. 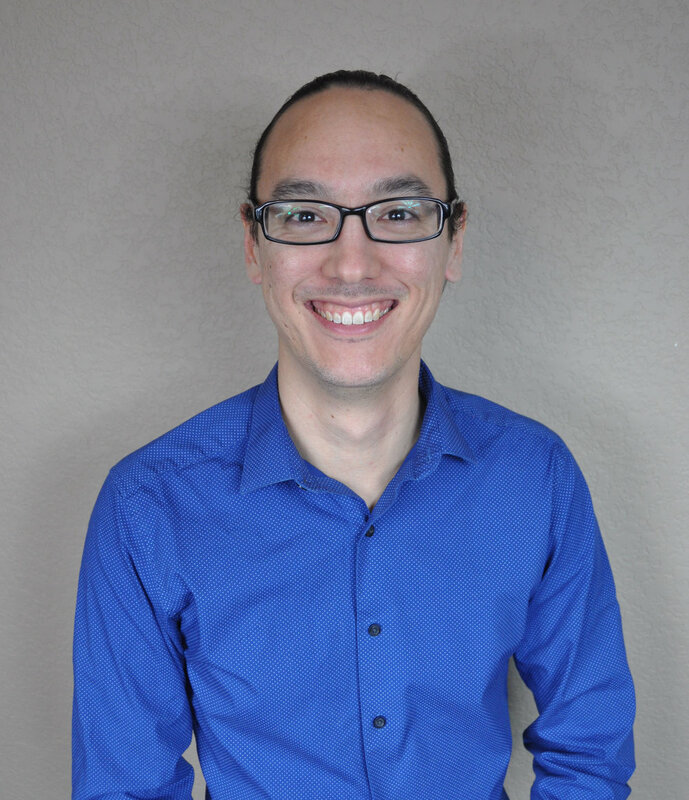 After graduating from the Conway School with a Masters of Science in Ecological Design and Planning he became a digital design instructor there, specializing in 3D modeling and GIS. Isabel recently graduated from University College London having completed MSc International Planning and is now working in London for JLL. She will be basing her presentation on the material and findings from her thesis which researched the policy mobility of Green Roofs in a historical and spatial focus as well as how this movement has impacted the reasons for authorities to implement Green Roof policies. Adriana is the Director of the Water Environment Federation’s National Green Infrastructure Certification Program (NGICP). Prior to taking on her current role, Adriana spent 17 years with the New Jersey Department of Environmental Protection working in various water quality-related programs, including wastewater management planning and combined sewer outfall permitting. 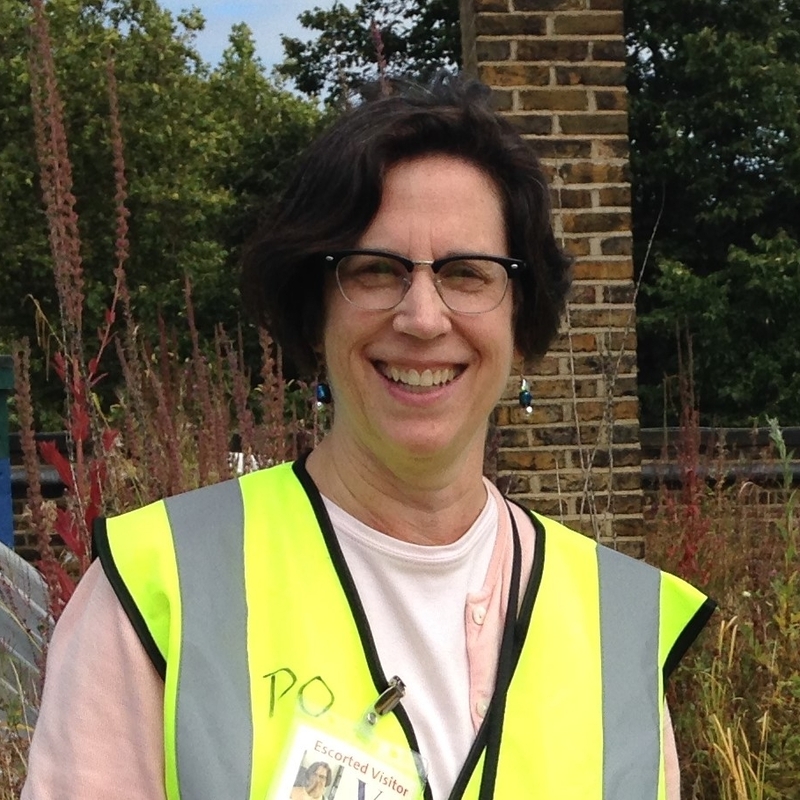 Much of her work has been focused on green infrastructure (GI), particularly in communities with combined sewer systems; in this capacity she assisted with community-based GI planning and provided coordination between the local community and the Department. Adriana has a BS in Natural Resource Management from Rutgers University and an MS in Environmental Policy from the New Jersey Institute of Technology. Jennifer Bousselot is a Special Assistant Professor at Colorado State University in the Department of Horticulture and Landscape Architecture and the Colorado Native Plant Society Marketing and Events Coordinator. Jen completed her doctorate research studying green roof species selection and substrate compositions at Colorado State University in 2010. Andy Creath founded Green Roofs of Colorado, a green roof design, installation, maintenance, and consultation company in 2006. He was a technical advisor and spokesman for the successful Denver Green Roof Initiative. He is a Green Infrastructure Foundation board member and co-chairs the GRHC Maintenance committee. Brandon Rietheimer is 31 years old and the founder and campaign manager for the Denver Green Roof Initiative. As an environmental activist, Brandon believes we must find solutions for climate change now and for climate change to come. Amy Chomowicz has worked on green roof projects and policies since 1997, and is the current Green Roof Information Think-Tank (GRiT) treasurer. GRiT is a non-profit that provides education to promote the use of green roofs in the Portland, OR region. Amy has a masters of urban planning from the University of Washington, and she currently is a program manager with the City of Portland. Mrs. Bettina Wanschura is Managing Consultant at Rambølls Liveable Cities Lab (LCL) with a focus on consulting cities and regions for a future oriented development that meets the needs of the inhabitants. Bettina is engaged in research projects focusing on blue-green urban infrastructure, its cost-benefits and added values these infrastructures mean to cities. Ray Hyland has a passion for green infrastructure; he has spent the last 19 years focusing on the design and engineering of GI for managing stormwater. He provided program and project management for some of the largest GI programs on the east coast, including DC Water, the City of Atlanta, Columbus Blueprint, Boston, the City of Wilmington, DE, and for New York City DEP. Sabine Aronowsky holds a MPA from Baruch College, CUNY, and received Baruch’s Susan Ponce de Leon Scholarship for commitment to affordable housing and community development. She is a community and media activist, life-long resident of Gowanus and Park Slope, Brooklyn and has served on the US EPA’s Community Advisory Group (CAG) in Gowanus since its inception in 2010, when the Gowanus Canal became listed as a Superfund site. Sabine joined Fifth Avenue Committee (FAC) in 2013 as the Campaign Manager for the South Brooklyn Accountable Development Initiative (SBADI). SBADI engages low- and moderate-income residents in local public processes to ensure accountability by government and private sector actors to assure that South Brooklyn neighborhoods are more affordable, inclusive, equitable and resilient, and is stewarding the Gowanus Neighborhood Coalition for Justice (GNCJ) and Turning the Tide (T3) environmental and climate justice collaborative. Michelle de la Uz became Executive Director of Fifth Avenue Committee, Inc. (FAC) in January 2004, after serving as Co-Chair on FAC’s Board of Directors. She has over twenty-five years of experience in public and community service. Michelle oversees the organization’s mission and comprehensive programs serving more than 5,500 low- and moderate-income people; a budget over $6 million and several affiliate corporations with annual budgets of over $6 million, assets over $120 million, and a housing development pipeline of nearly 1,000 units, or over $400 million. Prior to FAC, she was Program Director for the Center for Urban Community Services in Washington Heights and Harlem, where she oversaw social services in supportive housing for 400 low-income tenants with special needs. From 1995-99, Michelle was Congresswoman Nydia Velázquez’ first Director of Constituent Services and directed her South Brooklyn District Office. She was active in advancing transportation, environmental justice, immigration reform, and employment policy initiatives. Michelle is the first in her working-class immigrant family to graduate from college, and is a product of bi-lingual education. She is an alumna and former trustee of Connecticut College, an alumna of Columbia University and of Harvard Kennedy School’s Executive Education program as well as a recipient of number of awards including of the Ford Foundation’s Leadership for a Changing World award. Michelle serves on the National Board of Directors of the Local Initiative Support Corporation (LISC) and was appointed in April of 2012 by the then- Public Advocate Bill de Blasio to serve on the New York City Planning Commission and reappointed in 2016 by Public Advocate Tish James. Sydney Céspedes is a planner and works closely with the Policy Director to assist in the design, implementation and management of community-based planning technical assistance projects. At Pratt Center she has led research and report development to inform campaign priorities. She has also developed popular education materials that demystify planning processes to reduce barriers for public participation. Previously, she was a consultant with MIG in Berkeley, California where she specialized in public outreach and strategic planning. At MIG she facilitated stakeholder meetings for a diverse range of public agencies on a variety of issue areas such as transportation, housing, health, parks and higher education. Sydney has a master’s degree in City Planning from the University of California, Berkeley and a bachelor’s degree in Political Science from Hunter College of The City University of New York. Andrea Parker has a passion for regenerating urban green infrastructure through civic engagement. 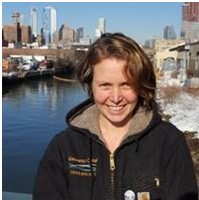 As the Executive Director of the Gowanus Canal Conservancy, she works to empower a community of environmental stewards and design advocates in the rapidly changing Gowanus Watershed. As an instructor at City College of New York, she engages landscape architecture students with the complex ecological, economic and cultural forces at play in NYC’s dynamic urban ecology. In her previous work as a Landscape Designer, she focused on urban and community resilience after Superstorm Sandy, as well as gained experience in public garden master-planning and residential design and construction administration. Her prior background as a gardener and nursery propagator enriches her design and advocacy work with a pragmatic understanding of how landscapes are built and maintained. She received a BA from the University of Chicago, studied Landscape Horticulture at Merritt College, and received a Masters in Landscape Architecture from the University of Virginia. Dr. Pinar Balci is the Assistant Commissioner of the Environmental Planning and Analysis at the NYC Department of Environmental Protection. She manages the DEP’s sustainability portfolio of initiatives including the NYC Green Infrastructure Program implementation and research, City-wide MS4 Stormwater Management Program, Demand Management Program, Climate Resiliency and Wetland Restoration. Jerry Kleyman is a Senior Vice President with Arcadis in New York City. He has over 28 years of experience and is an expert in wet weather and collection system master planning including combined and sanitary sewer overflow mitigation, urban drainage management, green infrastructure planning and implementation and stormwater compliance. Dr. Sri Rangarajan is an environmental engineer with three decades of public/private sector experience in hydrologic, hydraulic and water quality evaluations to assist municipalities in making informed decisions through sound scientific assessments. He is the President of Boomi Environmental, a pioneer firm specializing in resilient urban drainage and watershed management.